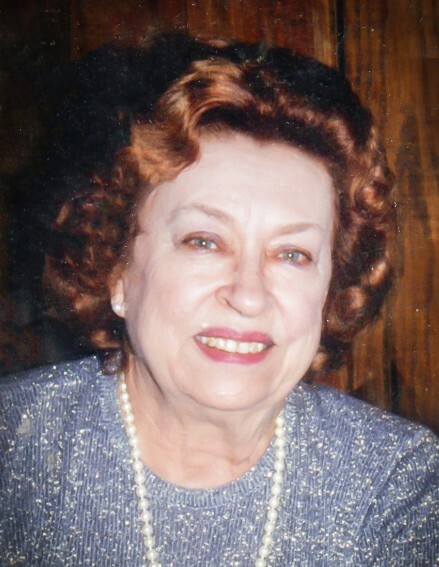 Mrs. Audrey E. Drouillard, 90, passed away peacefully at her residence at Brighton Gardens on Friday, April 5, 2019. She was born in Detroit, Michigan on October 1, 1928, to the late Ernest and Esther Kutassy. Audrey and her late husband, Norman, were members of Augsburg Lutheran Church. Audrey had achieved many accomplishments in her lifetime. She was a dance instructor for the Arthur Murray School of Dance. Music and dancing were a great interest for her. She loved to sing and play the piano. Audrey was passionate about animals. She raised and showed many dogs. Audrey was a natural born dog handler. Her prize miniature schnauzer, Dolly, won best in show at a competition held at Madison Square Garden in New York City. Audrey’s love for animals didn’t stop with just dogs, all animals were included. Audrey enjoyed riding horses with her late husband as well. Both felt immense compassion for animals, something all family members inherited. Audrey was very creative and artistic. She used this talent to paint, draw using pastel and charcoal, and ceramic creations. Audrey furthered her education by becoming a lab technician, real estate agent, veterinarian technician, and obtained her pilots’ license. Audrey was a charter member of The Eastern Star of Clemmons, formed in 1989. During that time, she was also a Worthy Matron (1990-1991) and a Past Matron from 1991 until April 5, 2019. Audrey dedicated herself to helping others and enriching the community. Audrey touched the lives of family, friends, co-workers, and many animals. Her compassion for all will fondly be remembered. In addition to her parents and husband, Audrey was preceded in death by her infant son, Norman Bryan Drouillard and a daughter-in-law, Sandi Drouillard. She is survived by her children, Alan Drouillard, Norman W. Drouillard, Jr. and wife, Leatha, Doreen Olson, and Shelley Drouillard; six grandchildren, Paul, Nicole, Timothy, Christopher, Benjamin, and Nicholas; eight great-grandchildren, five great-great-grandchildren, and a faithful caregiver, friend, and “sister,” Sharon Pritchett. Audrey was a loving wife, mother, grandmother, great-grandmother, and great-great-grandmother and will be deeply missed by all who knew and loved her. Funeral services for Audrey will be held at 3:00 pm on Saturday, April 13, 2019, at Hayworth-Miller Kinderton Chapel with Rev. Paul Wollner officiating. Interment will follow at Westlawn Gardens of Memory in Clemmons. The family will receive friends from 1:45 pm until 2:45 pm prior to the service at the funeral home. A reception will be held following the interment at the Clemmons Masonic Lodge, 6210 Stadium Dr., Clemmons, NC 27012. The family would like to thank the staff of Brighton Gardens and Trellis Supportive Care for their kind and compassionate care they provided to Audrey. In lieu of flowers, the family requests memorials be made to Trellis Supportive Care (formerly Hospice), 101 Hospice Ln., Winston-Salem, NC 27103, Augsburg Lutheran Church, 845 W. 5th St., Winston-Salem, NC 27101 or AARF of Winston-Salem, 311 Harvey St., Winston-Salem, NC 27103. Hayworth-Miller Kinderton Chapel is handling the arrangements for Mrs. Drouillard.